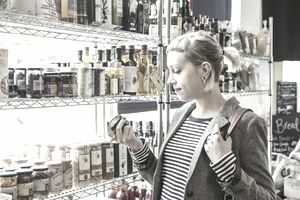 Perceived risk is the uncertainty a consumer has when buying items, mostly those that are particularly expensive, for example, cars, houses, and computers. Every time a consumer considers buying a product, he or she has certain doubts about the product, especially if the product in question is highly priced. Functional - Perceived risks can include the fear and or doubt a consumer has that the product they are buying will fail to perform its intended function. The consumer might be afraid that if they buy a car, the engine or other parts may malfunction. Social - This type of risk pertains to a consumer’s social status. If a person is of a high or wealthy social class, they want to buy products that their friends would also buy. For example, they may decide not to buy a cheap car for fear that their friends would disapprove or that it might impact their social status among their peers. Financial - Every consumer suffers some extent of financial risk. They are afraid that a purchase might strip them of their income sources at that time or in the future. For example, buying a car could leave them with little to no money or with loans that will affect their income for the next few months or even years. Physical - An item that could cause bodily harm to a person or their family causes perceived risk. Buying a gun, for instance. The gun could accidentally malfunction and cause an accident. A book, on the other hand, can rarely cause any physical harm. Time - If a product breaks or fails a few days after purchase and needs replacement, this is a time risk. You’ll need to go back to the store and wait in line to have it replaced or repaired, thus wasting time. Security/Warranty: The period of the warranty will determine how uncertain the buyer will be. A warranty makes them more trusting because they know if the product breaks down, they can get a replacement. The warrant should cover a long duration to boost the buyer’s confidence in the product. Hidden Extra Costs: If there are hidden costs to the selling price, there is cause for alarm. These costs could be just a scam to rip a couple more dollars off the buyer. Reputation/Brand Name: When purchasing a product like a car, one wants to get the best available product. He or she can ask around or conduct research on the particular car he or she wants before deciding on which manufacturer to go for. This way he or she can identify and cut risk. Reputation: Someone may have mentioned that your product failed them. Therefore, the consumer will have doubts about the company’s products in general. The company should reassure customers by offering a dry run/test on their product and emphasizing on the warranty. Lack of Detail/Attention: The seller should be attentive to every detail the customer wants. He or she should not ignore or get agitated when the customers ask too many questions. He or She should reassure them by answering all their questions. You will often see perceived risk addressed in marketing messages. For example, consider the following messaging that is meant to help a consumer overcome perceived risk. GM/Chrysler - New Car Guarantee - 10 year / 100,000 mile. Perceived risk addressed is a functional risk. CarMax - Return any car for any reason within a 5-day period. Perceived risk addressed is a functional risk. McDonald's - 99 Billion Served - Perceived risk is physical and social. Kroger - Faster Checkouts - Perceived risk is time risk. Our job as marketers is to watch for perceived risk that consumers have when it comes to our products and/or services and address them in our messaging. Is there a perceived risk that you could start addressing today?